Congratulations to LISOT's Sean Walsh (USA 14301) who won the Connecticut State Opti Championship Regatta, and to LISOT'S Jack Parkin who was awarded the CT State Championship Trophy as the top finishing Connecticut resident. LISOT's CT residents also took home all other perpetuals with Jack Parkin also winning the Blue Fleet, Russell Clarida the Red Fleet and new LISOT development sailor Grace Ryan the White Fleet. LISOT's Alex DelBello and KB Knapp were 2nd and 3rd top girls and received the coveted Vineyard Vines tote bags. 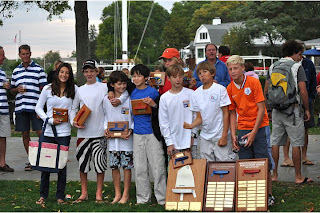 The Connecticut State Optimist Championship was sailed last Sunday out of Riverside Yacht Club. The Event, sponsored by Vineyard Vines and Dinghy Locker was a great success. 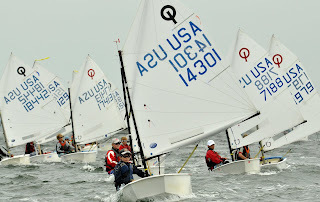 63 sailors from CT and as far away as Annapolis and Pennsylvania competed in 5 races in near perfect breeze. 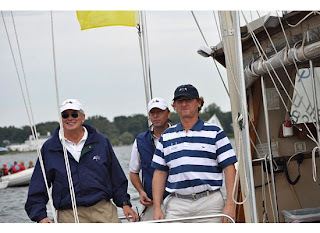 RYC PRO Mark Parry and his crew (with special guest appearances from LISOT's Gerard Koeppel, Rich Gordon and EA Kratzman) did a nice job setting up a short course inside Captains Harbor. After a couple general recalls they hoisted the Z flag and racing settled down. 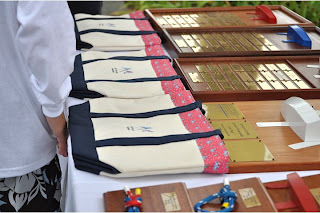 The CT Champs is set up a little different from regular regattas in that any sailor can win the Red, Blue and White trophies(1st– 5th) but only Connecticut residents can win the Perpetual Red, Blue and White Trophies. Team LISOT had over 40 sailors on the water and 5 great coaches, a big thanks to all the parents who really helped make this work! Team LISOT parents were everywhere from RC to parking lot and beach duty. See www.Riversideyc.org for complete results. Team LISOT Dominates USODA Midwest Champs!